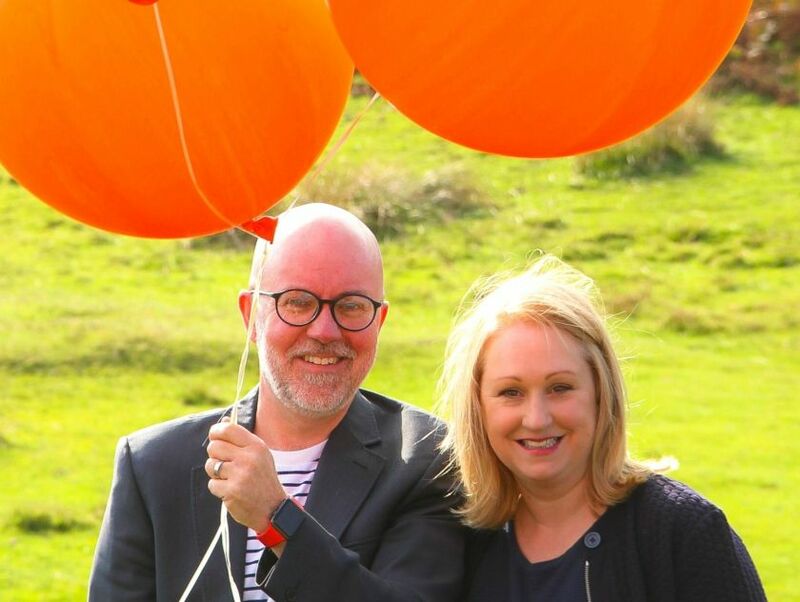 A creative duo based in Church Stretton has celebrated 15 years in business . . . with tea and biscuits. Carl Jones and Clare Heighway-Jones, founders of design agency Carl Jones Design, have marked the occasion by sending out tea and locally-made biscuits to thank over 200 clients, partners and suppliers who have been part of their journey over the last decade and a half. The husband and wife team, originally from Shropshire and North Wales, met at university and began their design careers in London, where they lived and worked for 12 years before moving back to Shropshire in 2003 to start their own agency. “Since we set up our agency, the business has gone from strength to strength and we’re really proud to be reaching another major milestone in our journey – it feels like a great achievement, especially being a small business based in a rural part of the county.” said Carl. “A lot of creative agencies feel they need to be located in larger cities like London, Manchester and Birmingham to attract the best clients and projects, but working from our design studio in the beautiful Shropshire countryside hasn’t restricted us at all in that respect.